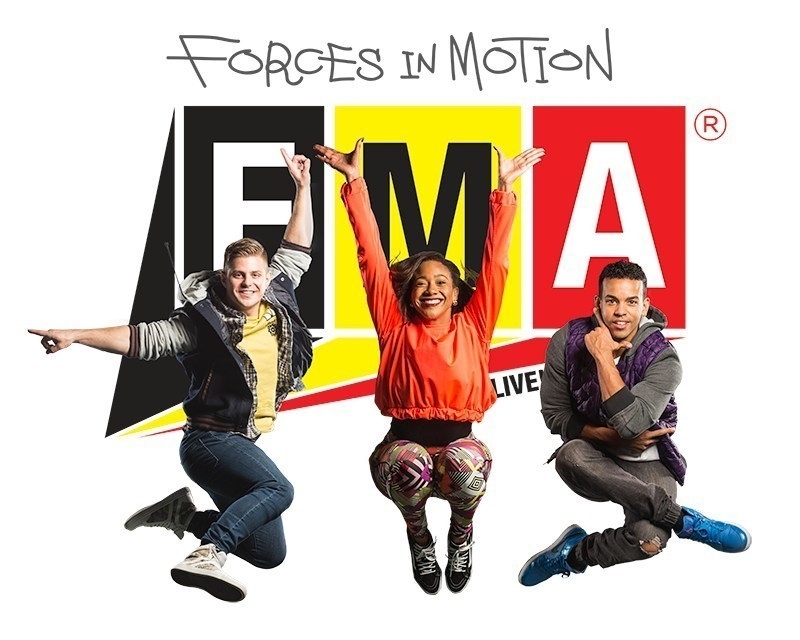 Honeywell (NYSE: HON) and NASA are proud to support their science, technology, engineering and math (STEM) education program with the award-winning, hip-hop educational experienceFMA Live! Forces in Motion. The program made its return to the West Coast this month with plans to visit six states and perform at 40 public, private and military-connected middle schools. This week, FMA Live! Forces in Motion is rolling into Arizona for performances in Sacaton (Sacaton Middle School), Tucson(Coronado K-8 School) and Tempe (Cholla Middle School). The FMA Live! Forces in Motion experience features an online “Teachers’ Lounge” that includes National Science Standards-based teaching resources, downloadable streaming videos, music from the show, and a comprehensive educational guide with lesson plans. This digital tool helps keep the post-show spark alive and can be incorporated into classroom learning objectives. To learn more visit FMALive.com. Using live actors, hip-hop songs, music videos, interactive scientific demonstrations and video interviews with scientists and engineers from NASA’s Jet Propulsion Laboratory, the show teaches Newton’s Three Laws of Motion and Universal Law of Gravity. Honeywell and NASA created FMA Live! to inspire middle school students to explore STEM concepts and careers. The program addresses Forces and Motion learning objectives outlined by the Next Generation Science Education Standards for students in grades 5-8. Through Honeywell Hometown Solutions, the company has a number of award-winning programs focused on inspiring students at all grade levels to embrace STEM education. The company chose physics for FMA Live! Forces in Motion because studies have shown that the middle school years of education offer the best window of opportunity to get students interested in STEM careers. The FMA Live! Forces in Motion website features a ““. FMA Live! Forces in Motion is part of Honeywell Hometown Solutions, the company’s corporate citizenship initiative, which focuses on five areas of vital importance: Science & Math Education, Family Safety & Security, Housing & Shelter, Habitat & Conservation, and Humanitarian Relief. Together with leading public and non-profit institutions, Honeywell has developed powerful programs to address these needs in the communities it serves. For more information, please visit http://citizenship.honeywell.com/.